Having the right packaging supplies for your products is important. Choose the wrong type, or neglect to keep enough on hand, and your packing efforts can be interrupted. But how you pack is just as important, because a lack of proper processes and techniques can cost yourself time and money. That’s how entry level automation can help—gadgets designed to speed up packing times, reduce employee mistakes and conserve payroll. Let’s start with bag openers. So, what are bag openers all about? They’re a tabletop-based entry level automation gadget that makes it easier and faster to pack products into poly bags. Wicketed bags (that is, a stack secured to an anchor strip made of metal or plastic) are mounted to one side of the bag opener’s platform, and once it’s turned on the top poly bag is instantly inflated (by way of electricity—no compressor attachment is needed). Then whatever you’re packing can be slid into the bag, and the filled bag removed from the wicket. Adjustable position arms let you control the height of the bag to accommodate different-sized products. What exactly is entry level automation? It takes a lot of time and money to run a business, and entry level automation is meant to save you both. Let’s use the packing of products into poly bags as a quick example: you need employees to do that, which involves opening individual bags by hand, inserting the product and repeating. It’s a repetitive task—fumbling to open a bag, hold it while holding a product, dropping it in the bag and moving on. That takes man hours and payroll. 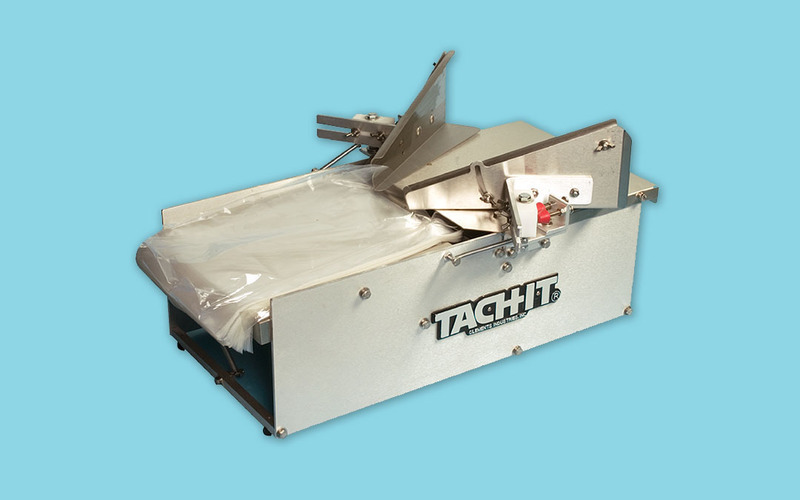 But with tabletop-based bag openers, your employees mount the wicketed bags, turn on the machine and slide products in. It automates some of the packing actions, speeding up the process and saving you those man hours (and in turn, excessive payroll). Who benefits most from using bag openers? Small businesses, first and foremost, since they typically don’t operate by assembly line. Bakeries will love bag openers as bread loaves (including sliced loaves) slide right in—as do other goods like bagels, pastries and cookies. Clothing shops also benefit from faster packing of shirts, bulk items like socks, and other apparel. Any business using poly bags to secure their products would do well to explore how bag openers can help with their packing efforts. What gadgets pair well with bag openers? Once those bags are filled with products, how do you seal them? Many businesses, especially those dealing in edible goods, use twist ties. And guess what’s also available as an entry level automation gadget? That’s right, twist tie machines. Designed as either hand-held devices you can carry around, or as tabletop-based machines, they operate exactly as you expect—gather the bag into the machine’s opening and it wraps the twist tie around the bag. Bag openers (and the complementary twist tie machines) are a spectacular addition to any packaging strategy. They simplify and speed up packing actions, reduce employee overload and generalize packaging output (every finished product is packed the same). As an entry level automation gadget, they’re worth investigating, and ultimately, worth the financial investment. For more information on other available gadgets, be sure to explore our blog.